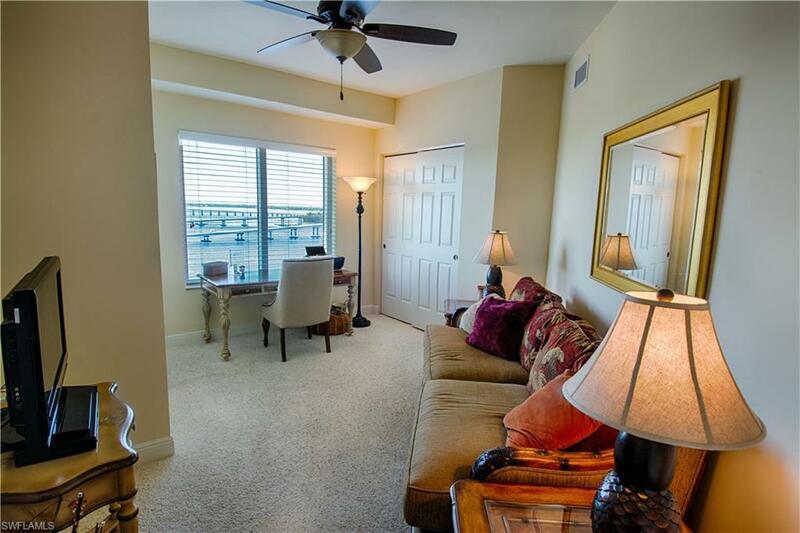 This 15th floor condo is beautiful and has spectacular views of the Caloosahatchee River and Downtown Ft. Myers!Your private elevator takes you to this meticulously maintained spacious 3 bed/ 2 bath home. Kitchen includes upgraded cabinets, stainless steel appliances and granite counter tops. Tile throughout main living area. A split floor plan with a junior master bedroom. The third bedroom that can easily be used as a den. 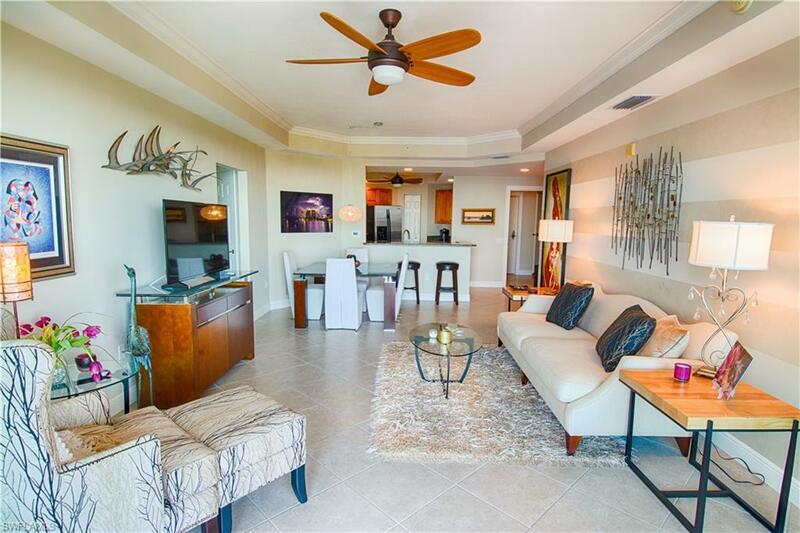 The large lanai is perfectly situated to enjoy sunsets EVERY day of the year and watch the dolphins play. A/C replaced in 2015. Amenities include a heated pool & spa, tennis courts, fitness center, Cinema room, pickleball, billiards & underground parking. Very active and social community including Friday night happy hour! 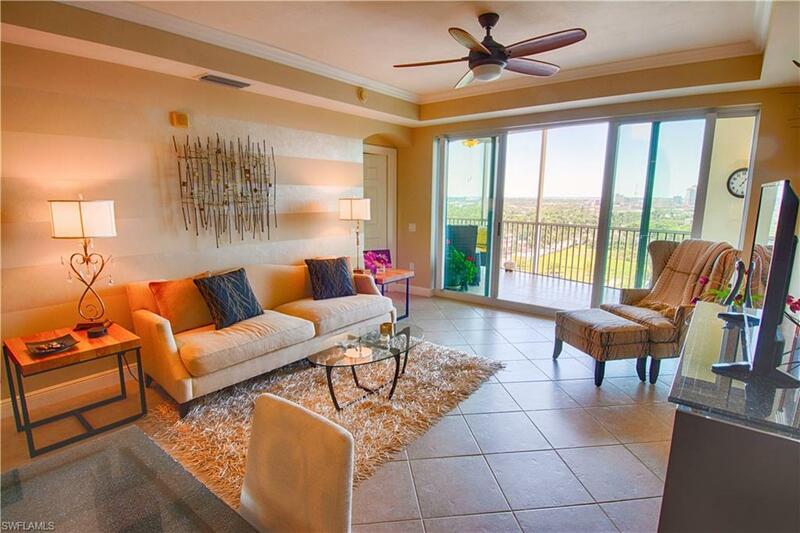 Ideal location to The Historic River District for shopping, dining, or entertainment. 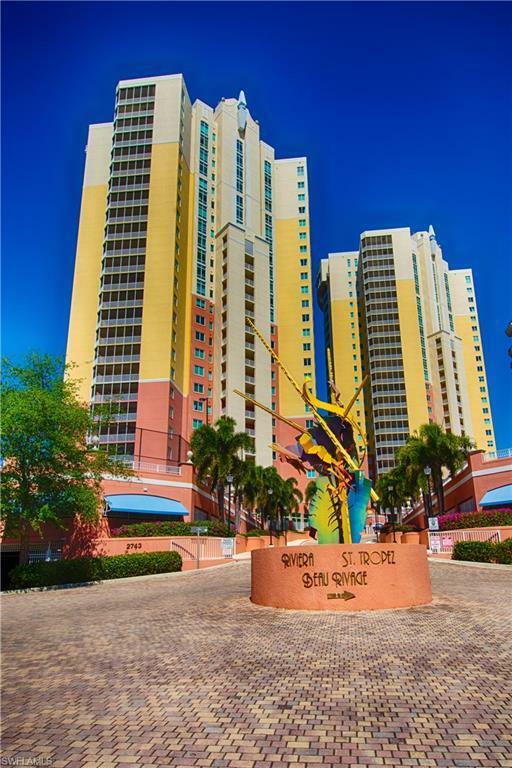 Take the FREE trolley to downtown and North Ft. Myers during season! A second parking space is available to purchase separately if interested. Listing courtesy of Keri Abed of Premiere Plus Realty Company.